Each of our 406 delightful guest rooms offers clean, attractive décor for a relaxing environment that is enhanced by the beautiful natural surroundings. Take in peaceful views from the private balcony or terrace or unwind in a sitting area with LCD TV and an iPod docking station. A work desk and complimentary High Speed Internet Access inspires focused productivity. 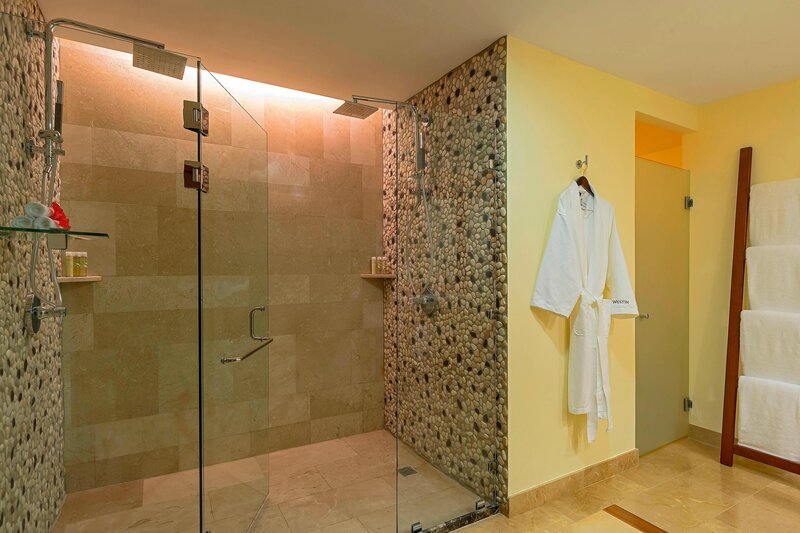 At the end of the day, slumber peacefully in a sumptuous Westin Heavenly® Bed and wake up to the beautifully appointed bathroom with a soothing rainforest shower. Westin White Tea Heavenly™ Bath Amenities and soft, cozy bathrobes add to the relaxing experience. 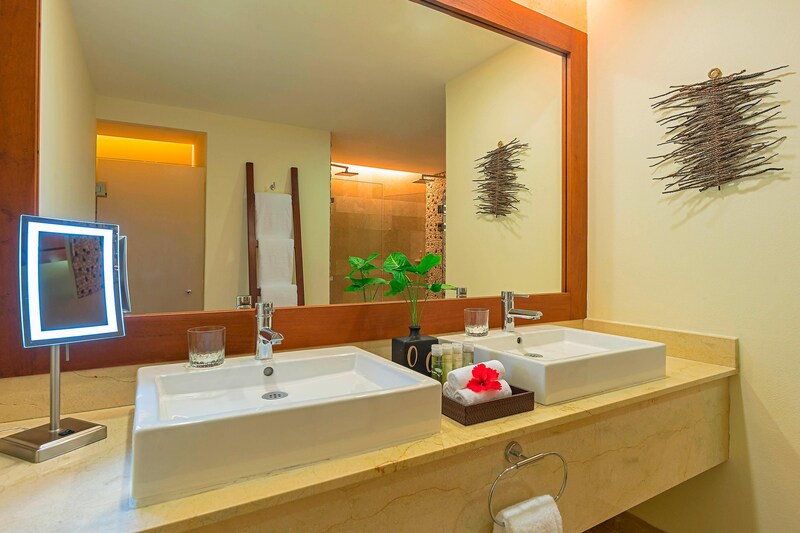 Your all-inclusive package ensures a carefree stay, from an in-room coffee maker with rich Costa Rican coffee to 24-hour room service and a refreshment center stocked daily with soft drinks, bottled juices, water, and beer. Please note additional refills are available at a charge. Westin didn&apos;t discover fresh air, but we&apos;re proud to offer smoke-free guest rooms at this hotel. 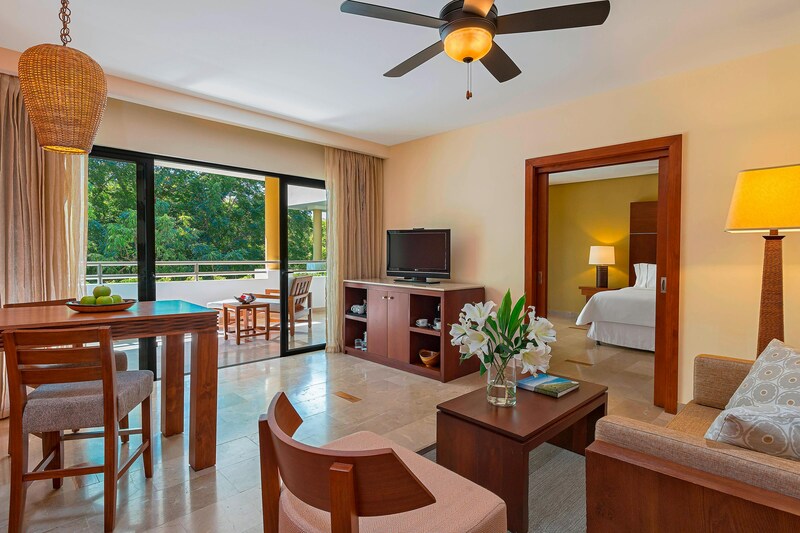 For elegant accommodations in a pristine tropical setting, choose a one-bedroom Royal Beach Club Suite. As soon as you arrive to the warm welcome of a tropical fresh fruit basket, you’ll feel invited to settle in and relax. Take a complimentary Costa Rican coffee to the balcony, featuring an outdoor soaking tub along with refreshing garden or pool views. Open exclusively to guests of our Family Junior Suites, the Family Club Lounge features kid-sized furniture and entertaining activities so you can enjoy an experience tailored specifically to families. Throughout your stay, the dedicated Family Concierge will help you coordinate entertainment and provide personalized assistance planning tours and excursions. A private check-in area ensures seamless check-ins for your group.